Your brunch-at-home never looked (or tasted) so good with this recipe. Instead of going out for brunch, why not whip up some crêpes at home? 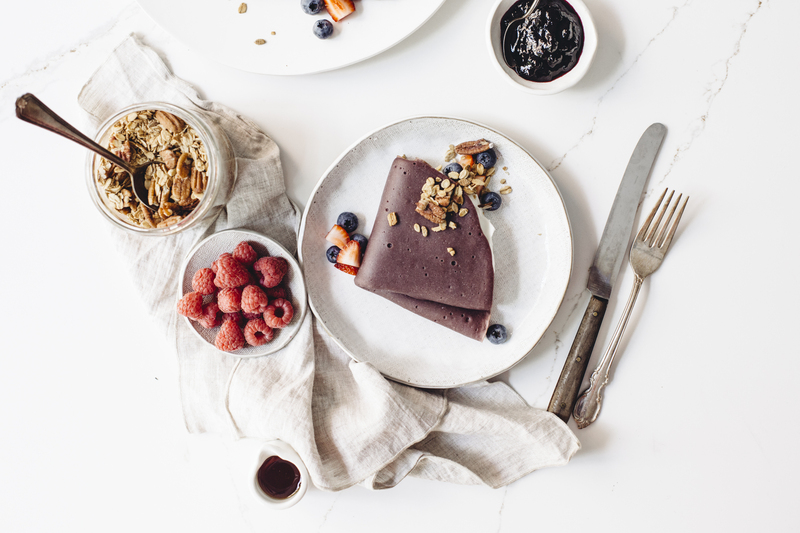 These delicious blueberry crêpes feature granola from Oatbox. In a food processor, blend together all ingredients (except for the granola, yogurt, and berries) until you’ve reached a thick, homogeneous consistency—this is your batter. Then, melt a portion of the butter into a non-stick pan. Once heated, pour your batter onto the pan until it starts to bubble up and appears to be cooked through. As soon as it appears to be cooked, remove it from the pan. Repeat this step until you don’t have any more batter in the pan. When plating, fold over the crepes onto the cooked side so as to preserve their bright colour. Serve with vanilla or plain yogurt and sprinkle Oatbox's granola and mixed berries on top, then serve. Et voilà! Your deliciously photogenic brunch is served!